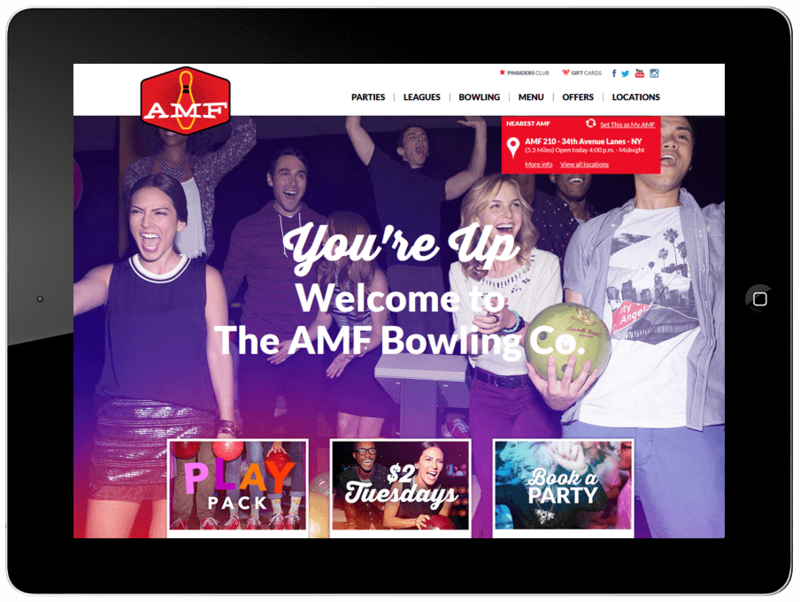 After Bowlmor acquired AMF in 2013; and due to the success of BowlmorLanes.com, Squeaky was engaged to redesign and develop the new AMF website. 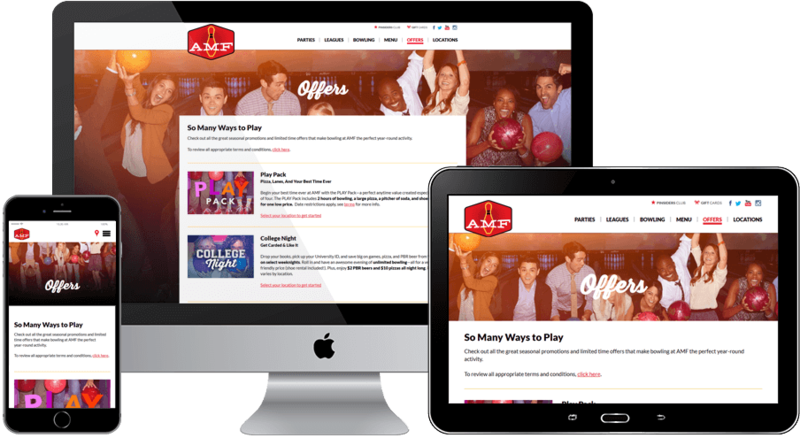 While maintaining the classic, family fun-filled AMF brand aesthetic America has grown to know, we developed a sleek and intuitive user interface that welcomes visitors with vibrant imagery, colorful graphics and encourages exploration. 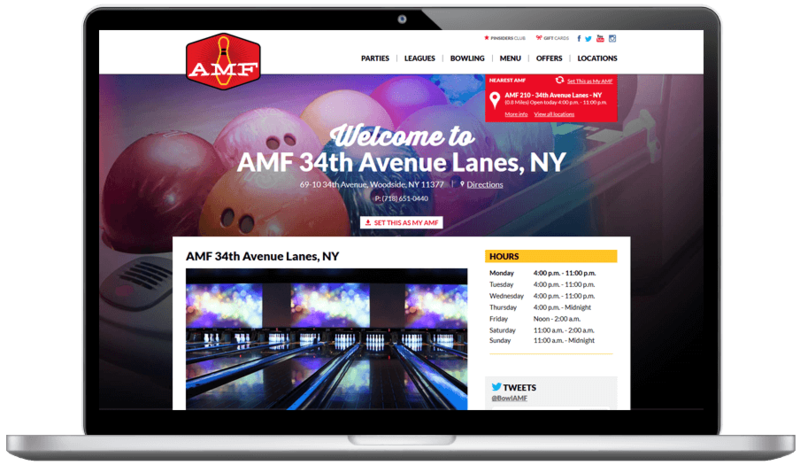 In order to maximize the AMF website audience and ensure the site’s continued longevity, Squeaky designed and developed a fully responsive site that looks great on any device. By developing the site this way, it increased productivity for AMF’s internal marketing team—allowing them to push content once, opposed to creating and managing a separate mobile site. The original AMF site was built using the Content Management System, Umbraco and Squeaky recommended not deviating from it for two reasons: 1. The AMF team was already familiar with the system and it would take time and money to learn a new system and 2. It was more cost-effective from a development perspective, to work within the existing system rather than start from scratch. In the end, our team became familiar with a new system and the client was happy to save time and money.